A leading toxicologist said Alexander the Great, whose death has baffled scientists for centuries, may have died after drinking toxic wine made from a poisonous plant. 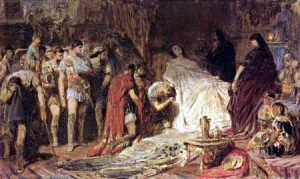 A leading toxicologist may have solved the 2,000-year-old mystery of what killed Alexander the Great. The ruler of the largest kingdom in the ancient world died at just 32 years of age in the year 323 BC. Many have wondered if Alexander died from natural causes or if he was murdered at the palace of Nebuchadnezzar II in Babylon. New research points to the latter. Dr. Leo Schep, a toxicologist from New Zealand’s National Poisons Centre who’s been researching the mystery for 10 years, believes the Macedonian leader likely died after drinking toxic wine made from a poisonous plant.